Note: this is the first part of a draft of an article which considers Edwards's relation to Calvin and also to Reformed Orthodoxy. This is a reference to Petrus Van Mastricht (1630-1706), Professor of Theology at the University of Utrecht from 1677 until his death. He was the author of a number of works, but Edwards undoubtedly refers to Theoretico-practica Theologia, published in two volumes in 1682 and 1687, and which was reprinted a number of times. I think that it is fair to say that the tone of Edwards is somewhat different in these two extracts, each of which has become well-known. Writing about John Calvin, and in public, he seems to be rather tetchy and grudging, expressing both puzzlement and indignation that anyone should think that he (of all people!) should take Calvin to be a human authority, despite being willing, for the sake of a label, to be called a Calvinist. He is not in thrall to Calvin, asserting his theological autonomy or independence at this point. In the case of his letter to Bellamy, Edwards’s words were for Bellamy’s eyes only, and he is more relaxed, even fulsome. Of all the theological books that he has ever read, when one is looking for an all-round theological authority and guide, van Mastricht’s lengthy scholastic treatment is the best of the bunch, coming second only to the Bible itself! Edwards exhibits some historical awareness in delivering these two different verdicts. When he wrote to Bellamy, Edwards was preoccupied with the Arminian issue, a concern that was to lead to the Freedom of the Will in 1754. Calvin could not be of much direct help to him there. To pitch John Calvin into the middle of the Arminian controversy would have been to court the charge of anachronism. Van Mastricht could be of more direct help, since in the post-Synod of Dort world of the late seventeenth century, he was a leading anti-Arminian theologian. But it seems that it was not his ability in handling the Arminian controversy, but in his comprehensiveness, that Edwards thought that Van Mastricht’s strength lay. And in any case, advising his student on which textbook to use was a rather different undertaking than disclosing to the world those theologians whose name he was willing to take. In making comparisons between Edwards and these two earlier Reformed theologians that he mentioned, it should be borne in mind that while they each wrote a major systematic work of theology as a magnum opus. Edwards never did. Though even here the hints that he provides of how he might have tackled such a challenge reveal an approach that differs both from that of Calvin and of Van Mastricht. In a part of another letter which has also become well-known, this time written to the trustees of Princeton towards the end of his life, Edwards told them that he intended to write a ‘great work called A History of the Work of Redemption’, which would be ‘a body of divinity in an entire new method, being thrown into the form of a history.’ (Jonathan Edwards to the Trustees of the College of New Jersey, October 1757, Works, 26:727). It seems to be clear from this proposal, and what he left to us in his History of the Work Redemption, a series of sermons posthumously-published in 1772, that what Edwards intended was what is nowadays called a ‘redemptive-historical’ theology, what is currently regarded as biblical theology rather than as systematic theology. Yet in the covenant theology in the Reformed tradition there was already such a treatment, and Edwards must have been very familiar with it, with the writings of Johannes Cocceius and of Herman Witsius. From what he wrote, he seemed to be proposing something rather in the historical vein of the covenant theologians, yet with its own unique method. This is another example of Edwards’s boldness and his willingness to innovate, while at the same time keeping within, while even touching, the limits of the boundaries of Reformed orthodox theology. Besides that, Edwards’s writing style does not correspond either to that of Calvin or Van Mastricht. Like much that he gave his hand to, he was very self-conscious about what he was doing. He was self-conscious of his writing style, and deliberately sought to cultivate it by reading widely and no-doubt disciplining himself in the characteristically Edwardsean way. What emerges is sharply different from the rhetorical style of persuasio that Calvin exhibits in the Institutes, and on the other hand Edwards avoids the formalities of scholasticism. But these stylistic differences need not be altogether exclusive of each other. The Baptist theologian, John Gill, a contemporary of Edwards, some of whose writings were known and used by him, combined a rather orotund, stately eighteenth century prose style with the observance of scholastic distinctions, as is evident in his Body of Divinity. In Edwards’s case the style is certainly that of the eighteenth century. Yet unlike Gill he employs scholastic distinctions in a minimal way. When all is said and done, the fact is that Edwards’ writings show little direct influence of either theologian. Although he occasionally quotes from Calvin there is little if anything from Van Mastrict, despite Edwards’ high praise of him. However, what has to be borne in mind is that Edwards sees himself writing for diverse readerships. Of his three great works, the Freedom of the Will (1754) is written for his fellow-theologians of a Reformed stamp in New England and beyond, and their Arminian opponents; and the Great Christian Doctrine of Original Sin (posthumously published in 1758) was intended to outflank the Arminian threat to New England by mounting a root and branch attack on what Edwards regarded as the ultimate enemy, European Deism. It is only his Religious Affections, the first of these three renowned books to be published (1746) that was designed for the domestic New England market. But how is it possible to make these distinctions about different audiences with any confidence? Partly, of course, by their subject matter and provenance. The Affections arises directly out of the New England revivals and their abuses, a matter of acute concern both to the supporters of the revivals and to their critics. The book had its origins in courses of sermons to Edwards’s Northampton congregation. The other two works are concerned with two fundamental topics in Christian dogmatics, and in particular in theological anthropology. In writing these two books Edwards’s attention focussed on the Colleges of New England and their alumni, and on Europe, whose latest radical ideas were beginning to reach the ears of those on the other side of the Atlantic. There is another sign of the fact that Edwards had different audiences in mind; the footnotes he employed, and the figures whom he engaged in intellectual combat, or from whom Edwards garnered support, those who appear in the main text. So, for example, the footnotes in the Religious Affections are references to, and citations from, a whole range of Puritan writers from old England and New England - such as his grandfather Solomon Stoddard, Thomas Shepherd, William Ames, John Flavel, William Perkins, John Preston, John Owen, Samuel Rutherford, Anthony Burgess and Theophilus Gale. In addition he cites Francis Turretin, John Calvin, and Martin Luther. The only exception to this roll-call appears to be John Smith, the Cambridge Platonist, and Jeremiah Jones, who wrote on the canon of Scripture. He mentions John Locke, but only en passant along with Cicero, Addison and others. These lengthy citations from his Puritan forbears were partly a matter of presentation and partly of theological politics. Those chiefly cited were the New England theologians Shepherd and Stoddard, the first a theologian of considerable authority in that community, the second Edwards’ grandfather, but more importantly his predecessor in the Northampton pulpit. Edwards clearly wanted it to be known that he had their endorsement for his teaching on the revival, particularly the careful discriminations he makes about the signs of genuine faith on the one hand and of hypocritical or self-deceiving faith on the other. So here, in the Religious Affections, his grandfather and Thomas Shepherd and the other Puritans, were still speaking. He invites his readers to draw the obvious implication that each would have approved of the revivals and of Edwards’s role in them. But was the value placed on these writers a sign of their persisting influence? For such puritan writers, the scholastic methods of distinction and disputation were a dominant intellectual influence. Theologians such as Owen and Turretin and Rutherford were in the front rank, men who were able to turn out scholastic Latin disputations at will. Owen and Rutherford locked horns over standard issues in scholastic theology, such as the necessity of the atonement. Rutherford was highly regarded by Gisbertus Voetius, Peter Van Mastricht’s forerunner in theology at Utrecht. The scholastic Latin works of the Scottish theologian were published in Holland as well is in Edinburgh. Had he wished, Rutherford could have occupied a chair in theology there. Ames and Preston were similarly influential. Despite this roll-call of scholastically-minded Reformed thinkers, I do not think that this is very good evidence that Edwards was nothing more than an eighteenth-century exponent of Reformed Orthodoxy. For the reason that he cited all these theologians was not on account of their scholastic skills, but for a rather different skill. Each was, in Edwards’s eyes and in the eyes of the ministers of New England, masters of practical and especially of ‘experimental’ divinity. That is, they were practiced in the testing of the soul, and in providing written guides for others to test their own souls, over this grand question: Is my conversion real or counterfeit? Do I exhibit the signs of grace? What are these signs? As part of their general outlook on religion, such divines held that first thoughts are not always best thoughts, nor first feelings best feelings. Many who were religious will be barred when they reach the gates of heaven. Of the ten virgins, five of them were wise, but five foolish. When the coming of the bridegroom was announced, five had no oil in their lamps. The Religious Affections is a work of such divinity on a grand scale, with an orderliness and a penetration that surpassed Edwards’s teachers, a response called forth by the expressions of heightened feeling as well as the bodily contortions of those affected by the revival. It is true that in pursuit of such practical divinity fine discriminations were called for. In a work from which Edwards quoted, Pneumatologia, or a Discourse Concerning the Holy Spirit, (1674) John Owen had agonised over the distinction between an account of regeneration which was the outcome merely of moral persuasion, and one which is truly spiritual, the direct renewing of the Holy Spirit. In making such a discrimination Owen certainly exhibited scholastic skills. But the scholastic apparatus was fragmentary, and its language incidental. This was not controversial divinity against the Jesuits or Socinians. These practical preachers used their analytic skills like skilled physicians, to deal with the spiritual problems of the pew, cases of conscience. It was for this reason that Edwards appealed to them, not because they set out their grand theological vision in scholastic terms, or sought to overturn errant divinity, though some of them, such as Owen, were certainly scholastic theologians in both those senses as well. So a sign of Edwards’s orientation is through this litany of familiar Puritan preachers and practical divines, and the frequent citations of Scripture. Yet, in addition to this, another voice can be heard, the voice of John Locke, as evident in his An Essay Concerning Human Understanding. As is well known, this philosophical work bowled over the young Edwards when he first read it, and it continued to influence them until his dying day. The last of his great works, The Great Christian Doctrine of Original Sin, makes significant use of Locke. But in the Religious Affections Locke appears incognito. For Edwards to have cited him, to have footnoted the Essay for his readers, would have been a distraction. It may even have aroused their suspicions. In the Affections Edwards was seeking to analyse the character of (in the Lockean terminology he adopted) ‘new simple idea’, a new sensation, not a phantom, nor a mere image, but a new reality, like none experienced before. And the question was, what are the characteristics of the presence of this new simple idea, so that a person will know either that he has experienced it, or that he has not? 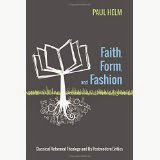 This is the Puritan doctrine of the Spirit’s regeneration, dressed in new verbal clothing. Intriguing as its presence is to modern students of Edwards, the influence of Locke here ought not to be exaggerated. For here at least the influence of John Locke is confined to the re-expressing in Lockean terms of what was the common coin of Puritan practical divinity. Puritans such as John Owen used the image of ‘light’ and ‘illumination’, keeping fairly close to the language of the New Testament, to convey the supernatural character of Christian conversion. In his work on the Holy Spirit mentioned earlier, which Edwards quotes, Owen had written of a ‘new, spiritual, supernatural, vital principle or habit of grace, infused into the soul, the mind, will, and affections ... a new principle of spiritual life’. (Pneumatalogia, or, A Discourse on the Holy Spirit (1674), The Works of John Owen ed. W.H. Goold (1850-3), (Edinburgh, Banner of Truth, 1966), III. 329-30). ’There is, therefore, an effectual, powerful, creating act of the Holy Spirit put forth in the minds of men in their conversion unto God, enabling them spiritually to discern spiritual things’. (332) God ’communicates a light unto our minds, and that so as that we shall see by it, or perceive by it, the things proposed unto us in the gospel usefully and savingly’. (333) This is not quite the Lockean language of sense or sensation. Owen retains the scholastic terminology of habits, while using language that made the transition to the Lockean terminology of ‘new sense’, ‘sensation’, a ‘new simple idea’ fairly easy to make. My own view is that Locke’s influence here is merely terminological. Using Locke’s terms, Edwards sharpened and renewed the standard teaching on regeneration and its call signs. In some earlier posts we have been thinking about the two kingdoms view of the Christian, his faith and culture. Here I shall touch on two or three further issues. It is important to stress that this is a tradition, beginning explicitly perhaps with Luther and Calvin, but having antecedents in Augustine and Gelasius. It does not invalidate the coherence and integrity of that tradition to note that the conditions under which the conceptuality of two kingdoms originated are not identical with present day circumstances, just as present-day conditions are not uniformly the same across the board. To think like this is to commit what I call the Occasionalist Fallacy, the view that the validity of a claim or idea or opinion, is confined to the context of its first utterance. Accepting this opens the door to a rather radical relativistic outlook. Portability is inherent in the very idea of a tradition, which maps a continuity of thought and action through a changing world. It is a great good to be able to do this, even though we might be rather quizzical about what exactly counts as the tradition. What gives it its identity, through all the changing scenes of life? We can often provide answers such a question, even though any tradition may have fuzzy edges. At the other end there is need for sensitivity to anachronism, taking care not unwarrantably to impute conditions to the past which only obtain in the present. These generalities of common sense have been suggested because, for example, it is said that Calvin’s distinction between the two kingdoms is different from such a distinction today, because in Calvin’s Geneva the church and the state were fairly coterminous, and so the relations between church and state were rather different from those in modern liberal democratic arrangements. And so, it is suggested (I think) that it is wrong to lift Calvin’s view of the two kingdoms from its Genevan habitat and parachute it into the present day. Indeed, it can’t be done. Good point, perhaps? But not a point of sufficient strength as to overturn the integrity of the two kingdoms idea in nations, such as the U.S.A., or in many of the states in Europe and the former British Empire, in which the state is at arm’s length from the church, and where there is a measure of religious toleration, freedom of assembly etc. For the idea of two kingdoms, the one earthly and the other heavenly, with Christians with a foot in each, is sufficiently robust to withstand quite a bit of transplanting. As can be seen in this extract from Calvin. That seems pretty clear. I can’t imagine that Calvin thought that these views applied in Geneva, but not, say, across the lake in France, where the kingdom and the Reformed church were far from coterminous. In Calvin’s Geneva, the magistrate’s work in the ‘civil kingdom’ included the positive upholding of true religion by supporting the services and discipline of the church in various ways, though not by duplicating them or replacing them. It is obvious that Calvin’s view of the spiritual calling of the church is different from his notion of the magistrate’s role in civil society even in a situation in which, it is judged, the magistrate also has the duty to uphold true religion. On Sunday the magistrate takes his place in St. Peter’s, like any other professing Christian in Geneva. Were it proposed that the magistrate’s duty vis a vis religion is rather different, as it was, say, by the time of another Frenchman, Pierre Bayle, then it does not follow that this change carried with it the collapse of the very idea of two kingdoms. It certainly didn’t in Bayle’s case, and it is hard to see that at this point he made some intellectual error. The idea of the two kingdoms did not drop dead, it morphed. It became a tradition of thinking about the faith and the surrounding culture, no matter the constitutional character of that culture. Similarly, in the world of early English Dissent, in which the churches who declined to join the established Church of England in the form it took at the Restoration came to have a separate identity which was at one and the same time not supportive of (nor supported by) Anglicanism, while at the same time being intensely patriotic, upholding the Protestant character of the establishment. This situation is more complex than that of Calvin’s Geneva, but nonetheless there grew in nonconformity, just because of its dissent from the Church of England, congregations that were independent of the state, and whose culture developed through being denied the educational advantages (if that is what they were) exclusively enjoyed by Anglicans. For instance, the nonconformist constituency led to the creation of Dissenting Academies, and lay at the basis of the Whig Party, the party of industry and banking and personal liberty, rather than the Tory Party, the party of the landed establishment and Anglican hegemony, where the writ of Anglicanism ran more securely through the Vicar and the Squire than it did in the cities and manufacturing centres of the North of England. (I paint with a broad brush, you understand). To my knowledge, the industry and culture of the Dissenters, the world of Bunyan and Defoe and Joseph Priestley, strengthened by the talents of the influx of Huguenot refugees, never regarded itself as ‘Christian culture’. If anything that might be thought to be much more of a temptation for the establishment, for whom church and state remained in strong association, and in which the elements of a ‘confessional state’ remained intact, at least until the passing of the Catholic Emancipation Act in 1829. Though there's little evidence of a self-conscious 'Christian culture' in this period, as far as I can tell. Independents/Congregationalists and Presbyterians did not have to free themselves from a religious establishment in order to maintain the spirituality of the church. For after 1688 those individuals and congregations who were prepared to obey the Act of Uniformity were debarred from the establishment, while enjoying limited toleration by the terms of the Glorious Revolution in both its ecclesiastical and its political expressions. The law granting such toleration varied from time to time, but in general they were at first constricted in the manner in which they may freely assemble, and from centres of learning, such as Oxbridge. As a consequence, the two kingdoms view finds fairly pure expression in the culture of Dissent, at least in its early years. So for them, clearly, there is Christ’s eternal kingdom, finding present expression in the congregations of Christendom, and there is the temporal kingdom, finding partial expression in the restored monarchies of England subsequent to 1662. The two kingdoms are clearly not the same. In some places this distinction between two kingdoms came to be weakened over the years, as Dissenting churches took on the role of providing primary and also secondary education, and entertainment, for the general populace. It is suggested that to identify the spiritual kingdom with the visible church with the church as in ‘church and state’ shows confusion in that it goes against the clear practice of John Calvin who identified the spiritual kingdom with the invisible church. Again because even in those constitutions which seem to relate to the spiritual kingdom, there may be some delusion, it is necessary to distinguish between those [constitutions] which are to be held legitimate as being agreeable to the word of God, and those, on the other hand, which ought to have no place among the pious…For the present, also, I defer speaking of ecclesiastical laws, because that subject will be more fully discussed in the Fourth book when we come to treat of the power of the church. Pretty clear, would you not say? 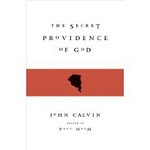 In the church Christ rules his people by the perfect law of liberty, and it is vital, Calvin thinks, for perseverance and persistence in grace, that God’s people should be free of man-made chains. Calvin sees no 'dualism' between the the church, the present locus of Christ's spiritual kingdom, having rules, order, provided they no not impose non-scriptural requirements. I’ve heard it said that the fact of the operation of natural law, which is a central plank of the platform of the two kingdoms view, is a revealed doctrine of Holy Scripture, and so is subordinate to it. This is rather like saying that the existence of the Sea of Galilee is a revealed doctrine. Scripture mentions the Sea, and asserts its existence, or uses language which entails such assertions. But the Bible is not an exclusive channel of knowledge that there is such a Sea. Likewise, the Bible, in places such as Romans 1 and 2, and Acts 14 and 17, asserts that there is a natural knowledge of God, giving instances of it. For stay-at-home, Bible-loving people, maybe these passages are their chief source of the view that there is a universal sensus divinitatis, or the operation of a conscience in every human spirit. But when Paul in Acts 17 quoted from Aratus and Epimenides the Cretan, he was using his general knowledge, just as earlyish Reformed theologians quoted the sentiments of heathens such as Cicero, or the reports of contemporary explorers, to the same effect. It is central to Paul’s argument (and to Calvin’s in Book I of the Institutes) that such knowledge is real and general, and hence empirically identifiable in the usual ways. Besides, if we take the view that it is only from the Bible that we gain positive information about the universality of the sensus divinitatis, and the operation of natural law, we jeopardize a fundamental distinction in Reformed theology, the duplex cognitio dei, the two-fold character of the knowledge of God. This is sometimes expressed in terms of the distinction between general and special revelation. We find ourselves replacing it with the monoplex cognitio dei. General revelation is swallowed by special revelation. I think we ought to hesitate before going down that particular path.